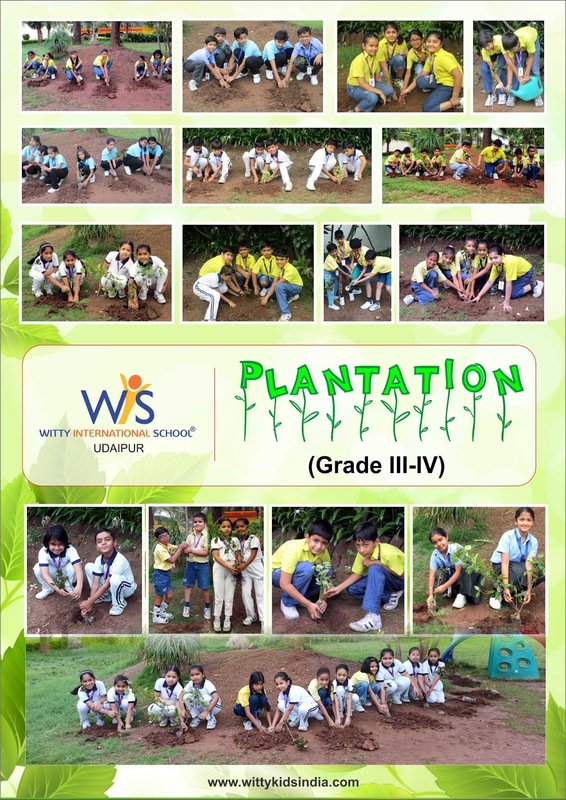 With the onset of monsoon season and the motive to make the earth a greener place, Wittians of Grade III and IV enthusiastically participated in the Plantation Activity under Cub/Bulbul programme during Enrichment Hour. They planted about 150 saplings in the school campus with the help of a gardener. The main purpose behind the plantation activity was to make the students aware about the importance and need of trees in our life in various ways and also about the consequences of deforestation.